Private view: 6:00-9:00pm, Thursday 29 June (Peter Watkins in conversation with Tim Clark: 6:00-7:00pm). RSVP to Dominic Bell on dominic@webberrepresents.com. 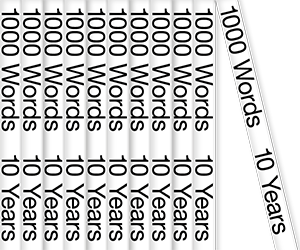 1000 Words is delighted to announce a series of itinerant exhibitions produced in collaboration with featured artists as the organisation approaches its tenth anniversary. Curated by Tim Clark, The Unforgetting marks the first solo exhibition in London of Peter Watkins, and will take place at Webber Gallery Space, London from 29 June – 31 July. This exhibition of photographs and sculpture explores the textures of personal memory as related to the traumatic. On February 15th 1993, Peter Watkins’ mother walked from Zandvoort beach into the North Sea to her death. The culmination of several years work, The Unforgetting is a series made up of remnants, exploring the loss of his mother as a child and their shared German ancestry, as well as the associated notions of time, recollection and impermanence, all bound up in the objects, places, photographs, and narrative structures circulated within the family. Often borrowing from the language of museum display, this body of work examines the complexities and contradictions of remembering in the representation of personal histories. It poses the following questions: How much of a person remains in the objects that are left behind? What can these objects tell us of the trauma of loss? This is an exploration that cannot be told with any certainty, but is told anyway. The presentation of objects carry the weight of a family’s past, but the personal charge with which the images are made remains undisclosed and often obscured, encouraging a dialogue between the universal and the highly individual. 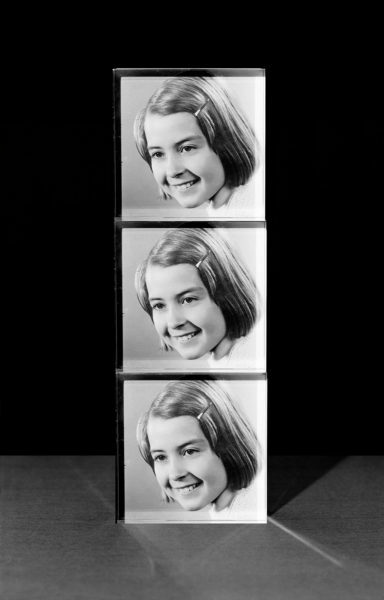 Images of cans of Super 8 film withhold the images they contain; ceremonial glasses appear transparent and emptied of liquid; and a baptismal dress appears impossibly suspended and spectral, glazed behind yellow glass – a wash of colour in an otherwise monochromatic series of works. The recurrence of wood throughout points towards the exploration of a certain rural German identity but here it also heralds the passing of time, and of the “here I was born, and there I died,” as Hitchcock’s Proustian Madelaine exclaims in Vertigo, when pointing to the sawn sequoia tree. Woven beneath the works’ surfaces are stories and ciphers that come to constitute a biography of the departed, an incomplete patchwork of facts, assumptions, and storytelling. This series finds its core, therefore, in the interplay between presences and absences – the absence of the mother, and the traces of her life explored in states of unforgetting. The exhibition will be accompanied by a limited-edition publication from Morel Books. Kindly supported by Metro Imaging. For more information or images please contact Dominic Bell on dominic@webberrepresents.com. Peter Watkins (b. 1984, UK) is a visual artist based in London. He graduated from MA Photography at the Royal College of Art in 2014 and his solo exhibitions include The Unforgetting, Ravestijn Gallery, Amsterdam; The Unforgetting, Format International Photography Festival, Derby; and The Unforgetting, OPEN14 Award Winner, Brighton Photo Fringe, Brighton. Group exhibitions include Pieces of You, Open Eye Gallery, Liverpool; Vision 20/20, Christophe Guye Gallery, Switzerland; Thresholds, Belfast Exposed, Belfast; Wonders of the Visible World, Northern Gallery for Contemporary Art, Sunderland. Tim Clark is Editor in Chief and Director of 1000 Words, nominated in the Photography Magazine of the Year category at the Lucie Awards 2016. Previously Associate Curator at Media Space at the Science Museum, London, exhibitions he worked on included Julia Margaret Cameron: Influence and Intimacy and Gathered Leaves: Photographs by Alec Soth. He is currently working as Guest Curator (together with Greg Hobson) of Photo Oxford, a celebration of photography through exhibitions and related activities during the month of September (8th-24th), featuring Martin Parr, Edgar Martins, Mariken Wessels, Arkady Bronnikov and Sergei Vasilev. His writing on photography has appeared in FOAM, TIME Lightbox, The Telegraph, The Sunday Times, Photoworks, The British Journal of Photography, as well as in numerous exhibition catalogues and photobooks. He is also a visiting lecturer at NABA, Nuova Accademia di Belle Arti Milano. Located in the heart of London’s Fitzrovia gallery district, Webber Gallery Space is dedicated to showcasing and supporting the personal work of both represented and affiliated artists. Through its innovative programme of artist talks, exhibitions and book launches, Webber Gallery Space explores contemporary photographic themes in an immersive and engaging manner. Recent exhibitions include Thomas Albdorf, General View; Theo Simpson, THE LAND OF THE DAY BEFORE; Marton Perlaki, Elemer; and Gregory Halpern, ZZYZX.